Today I'm sharing my top 11 relationship posts of 2012. 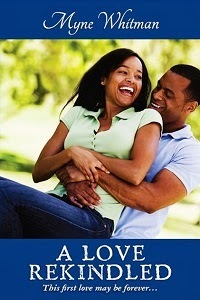 Some of them are my personal favorites, from how to know when you're in love, love languages, how to express love to your wife, ho to get your African husband kissing and more. For my readers from long time, enjoy the stroll down memory lane. For newer reader, thanks for joining us, and stick around. 1. L is for Love - Wait a minute though, what is love? How will you describe love? Is it a feeling or an action? Is it to love or to be in love? Can one do without love? A cool love or a fast love? Which is the better love? Find the answers here. 2. How to Show Nigerian Love - Our love is not of short-lived flowers and long meaningless walks in the park. As a person dedicated to your hustle, I have undertaken to provide wisdom that will protect you from falling into such heresies. This was written by Elnathan John. 3. How to get my husband to love kissing - Please how can i get my husband to love kissing and engage in it. I love kissing and its one thing that turns me on for love making. I practically compels him to kiss me every time and we only manage to lip-lock for about 30 secs or less. This was a Dear Myne post and we got loads of informative responses. 4. 9 Ways to Know When you're in Love - There are some people you meet and you just know they’re a fantasy or fancy which will fade even the next day. And there are those that tug at your heart and you begin to wonder, could they be THE ONE? The truth is that if we’re not sure about this, whether deciding to allow a friendship develop into something more or taking the decision to get married, we could be making the mistake of a lifetime. These are some of the pointers I came up with to recognize that special person. 5. Do you believe in love at first sight - Supposedly, more men believe in and experience love at first sight than women. Let's see from your answers if this is in any way true. I do believe in love at first sight. Now, whether it survives and thrives is a different matter altogether. Many of you did not agree with me. 6. How to Keep Love Alive - Keeping the love alive is an active choice and sure isn’t the easy option but it certainly is the most rewarding. Here are seven suggestions to keep the love alive in your relationship. 7. How to Express Love to your Wife - Sometime ago on Facebook, someone shared on how express love to your husband. I feel there's a lacuna in that hardly any relationship expert advises the men, so this is my own version of how to express love to your wife. 8. Loving the One who Loves you Back - This is the typical nice guy, he won't rush to jump your bones, or to define a romantic relationship. He only showers you with attention and affection. You name and he will do it, or has already done it. What will he not do? 9. How to have a Lasting Online Romance - Online romance gives you the control, you can decide when and how to reveal any type of information. You can also completely back off at any time, if you feel like something is going wrong or the other person is not who they say they are. 10. Nigerian Love - Romantic Names in Local Languages - I just want us to share our experiences about Nigerian love and romance. How do we keep our relationships fresh and fun? 11. Love Languages: What is Yours? - how do you want your partner to show love to you. There is even a book called the five languages of love.